iPhone users looking to upgrade their handset in Malaysia can now do so with the announcement of its availability here today. I saw it in my mailbox and I thought I should share it with other readers. 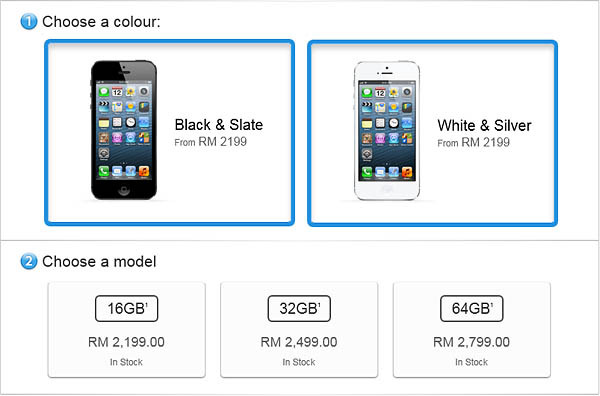 The official pricing is out and it starts at RM2,199 for the 16GB variant. BTW, how do you put the "TM" on the top-right of your blog title? Wah!I am just trying to get to know my S3 and now another launch. cool and very sophisticated design. That's RM300 more than what is listed at Apple-store, Malaysia. But then this is exactly similar to previous pricing and street prices, both for iPhone and iPad.